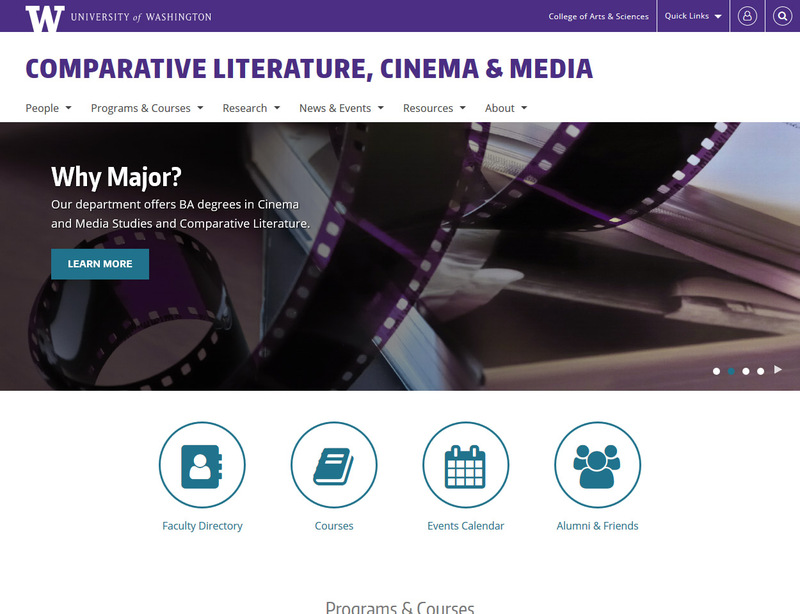 UW Department of Comparative Literature, Cinema & Media (Redesign) | Heather Wozniak, Ph.D.
A comprehesive visual redesign of an existing Drupal site in the College of Arts & Sciences Department Web Framework. I led the department stakeholders through the process of identifying departmental objectives, selecting new layouts and imagery (with assistance of a graphic designer), and reorganizing the site to improve usability and emphasize key programs. Then I configured the site to support the selected theme and tweaked front-end code and image assets as necessary.